June is officially in the books. How that is possible I am not sure but this year is half way over already! 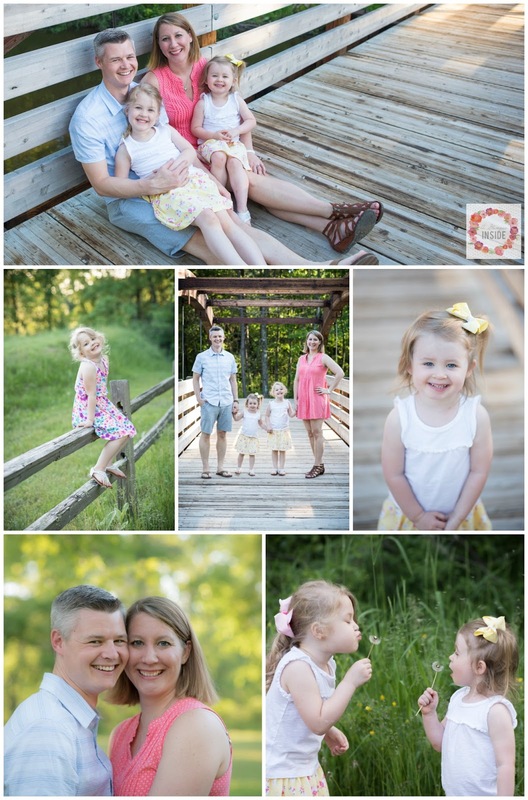 Time for my monthly recap post on what we were up to in the month of June. The day after family pictures it was time for daddy to head off to CA for a 3 week training session. 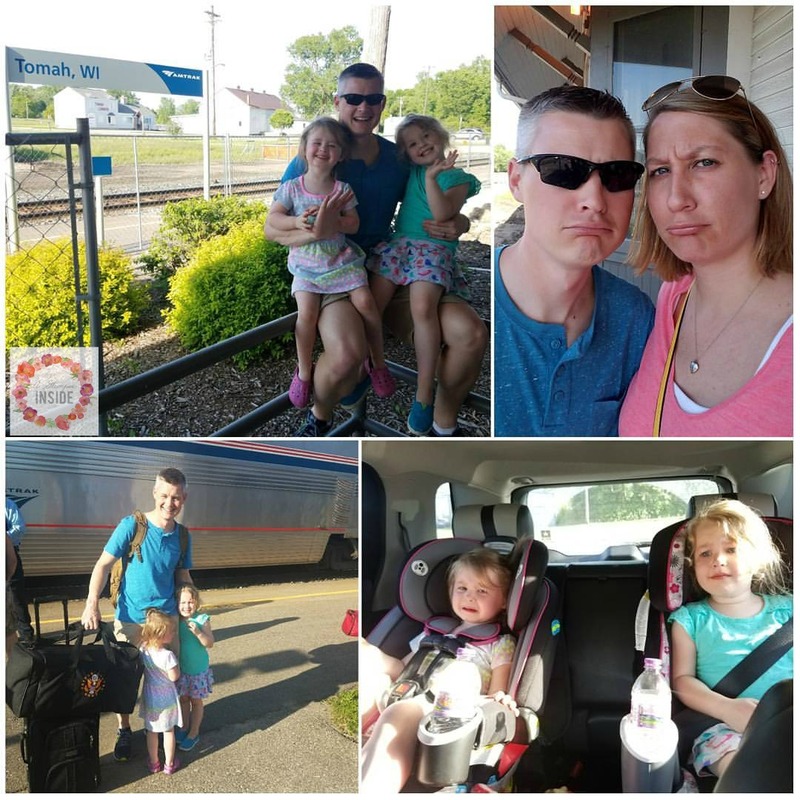 He took the train all the way to CA for a fun, 3 day experience but the drop off did not go too well with the girls. 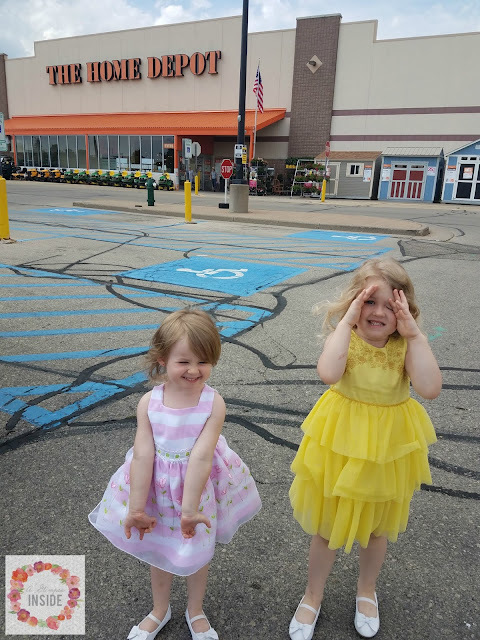 They were excited to see the train but as soon as it was in view they immediately started to cry because they knew daddy was leaving and they cried the entire 20 minute drive home from the train station. I tried to occupy them immediately and we played at our neighbor's house for a fun water day the next day after daddy left. 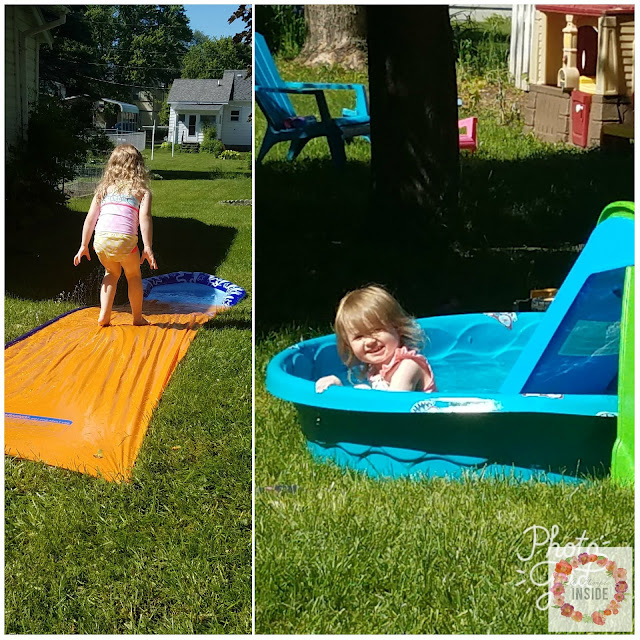 Miss S loved just chillin' in the pool while Miss P tried a slip n slide for the first time. Miss P had her last day of school on the 5th of June. It was a not so good day being only a few days after daddy left and then school ending immediately. 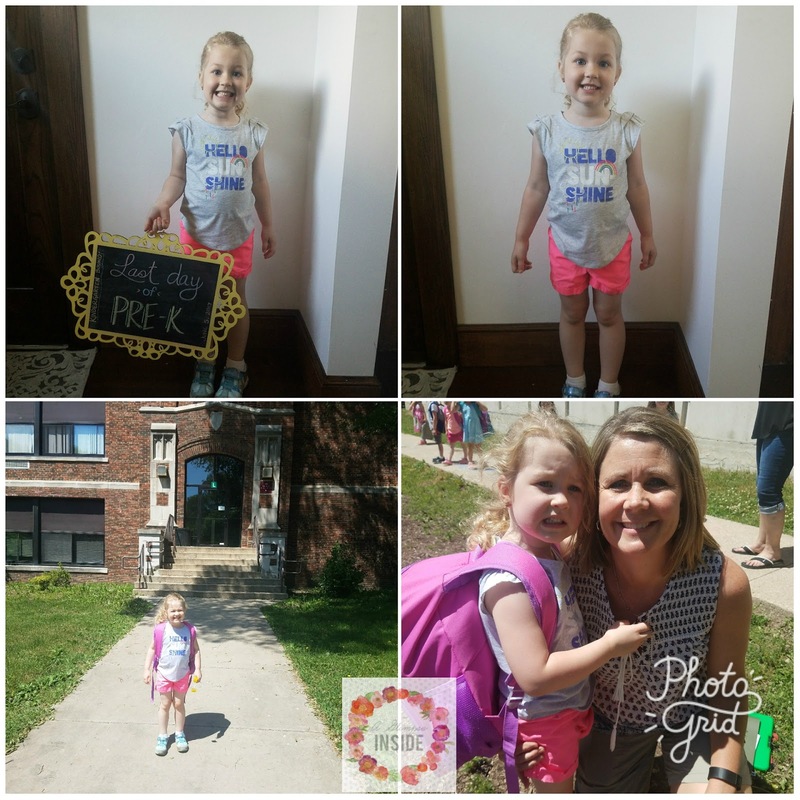 She loved her teacher, her friends, and going to school everyday. The evening school ended I thought it would be fun to go play on the playground that evening and that was not a good idea. Miss S had a great time, Miss P not so much. 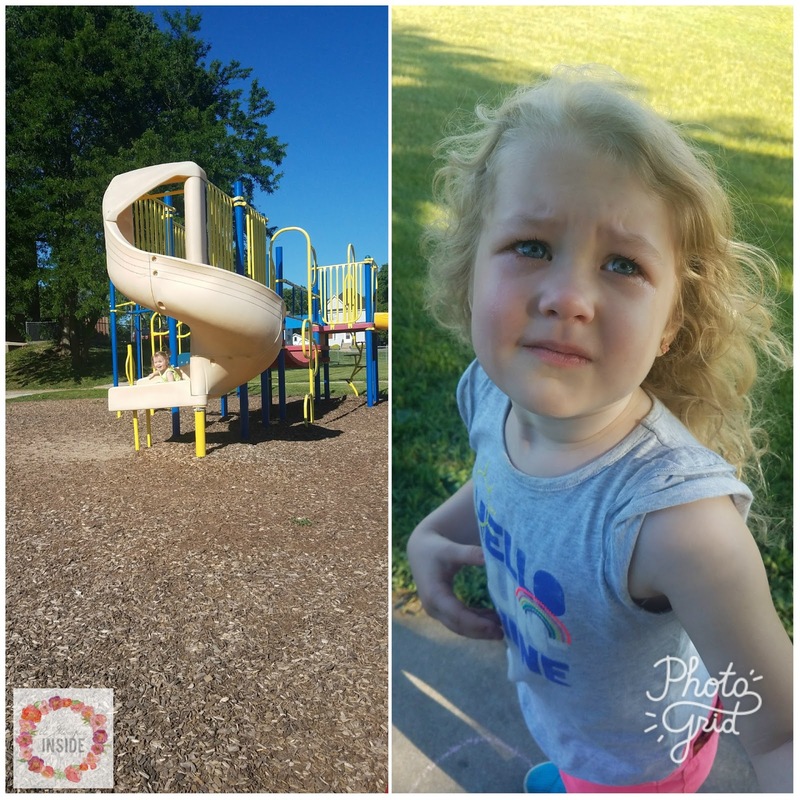 She was not handling daddy leaving and school ending within days of each other too well and just going back to the school made her so sad. 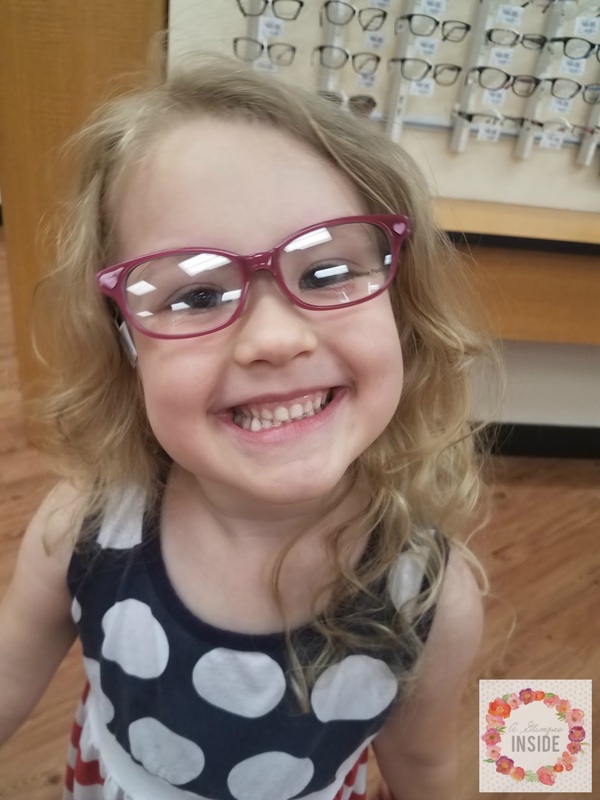 We started our kindergarten prep with doctor's appointments and discovered Miss P needs glasses. These are the ones she chose and they are so cute! I tried to keep these girls occupied and busy while Travis was gone. 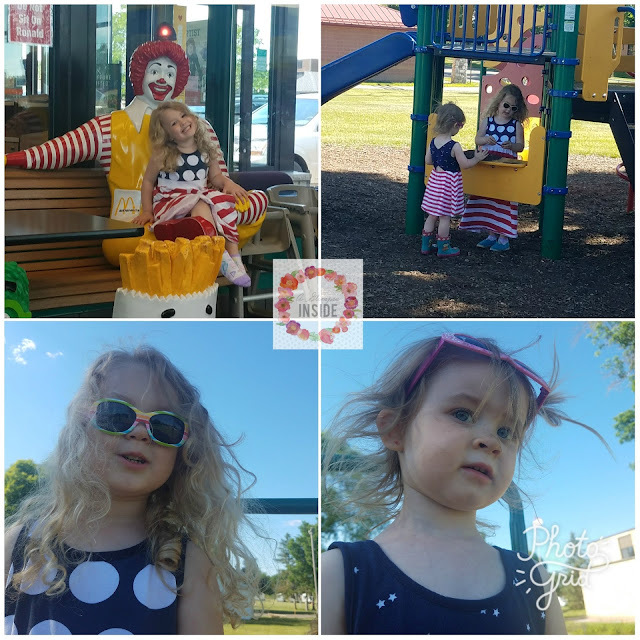 We went to Mcdonald's to play a few times and the park a lot! 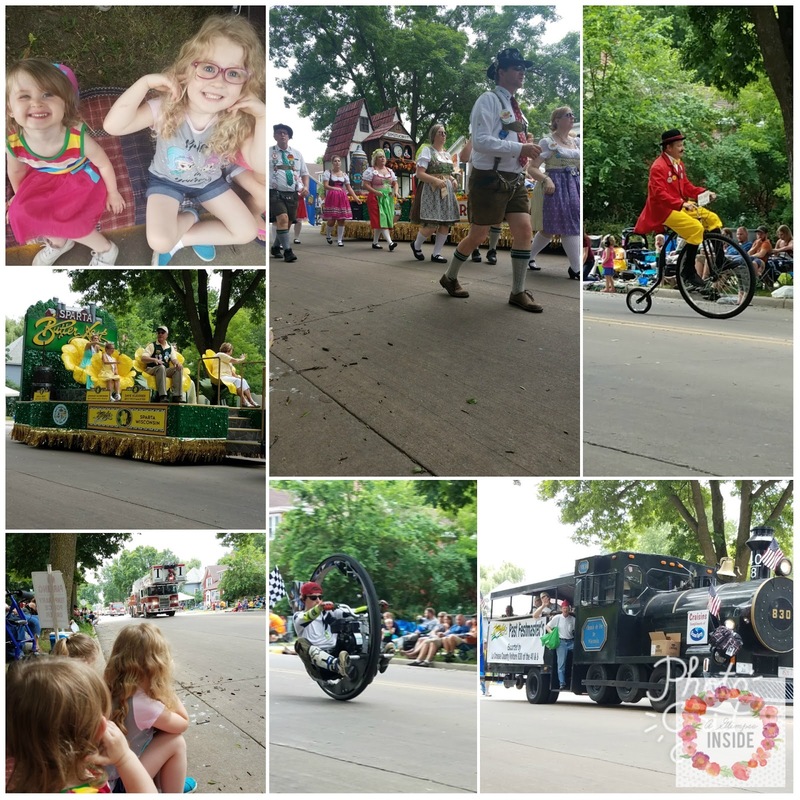 Our little town has something called Butterfest which is a big festival and parade and all sorts of fun stuff. We tagged along with out neighbors to head to the carnival one evening. 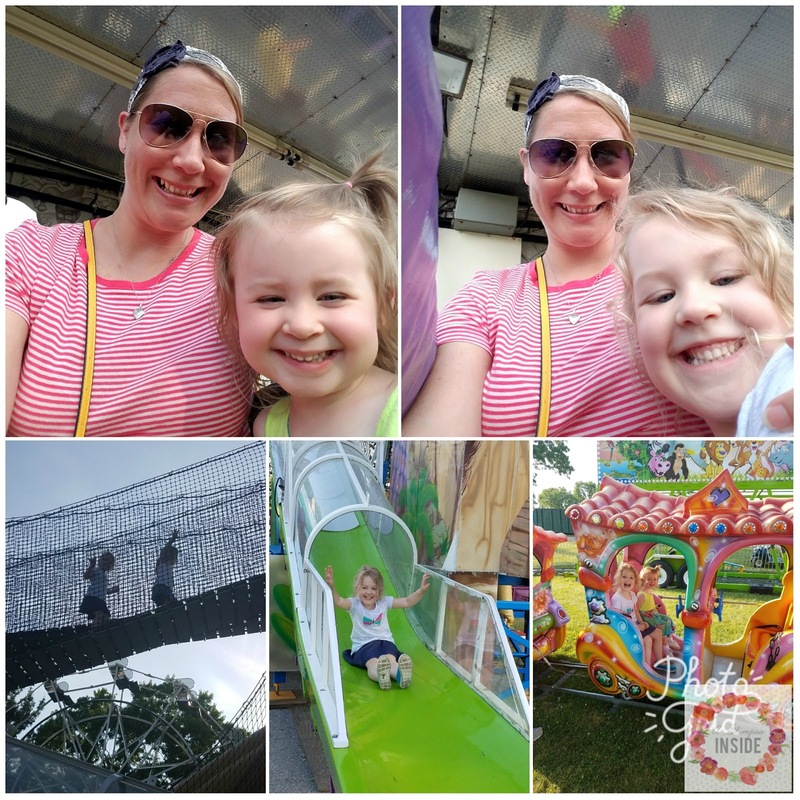 The girls enjoyed the rides much more than I thought and I got stuck riding the dragon coaster back to back with each girl. BLAH! 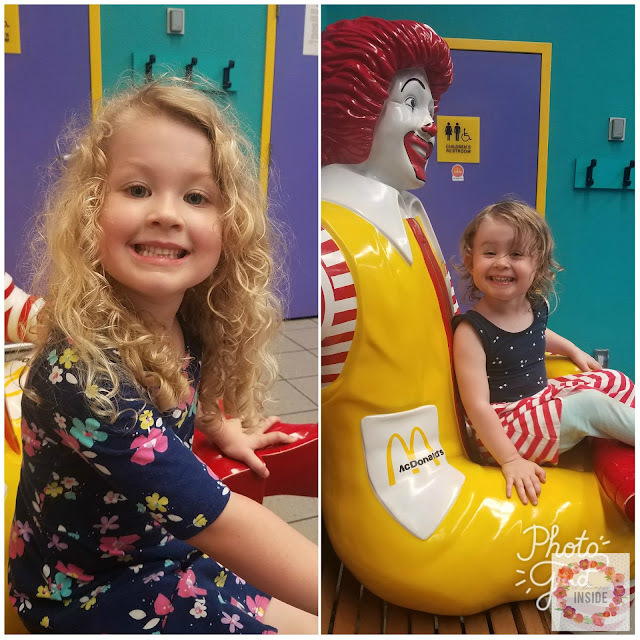 lol And Miss P ran into her teacher so that made her happy! The last day of Butterfest there's a parade so that was a fun afternoon watching all the floats and gathering candy thrown our way. One rainy evening, we met some friends at McDonald's for dinner. We didn't really get that caught in the rain but I was amazed at how curly both of the girl's hair got. Here's another sneak peek into the basement project. 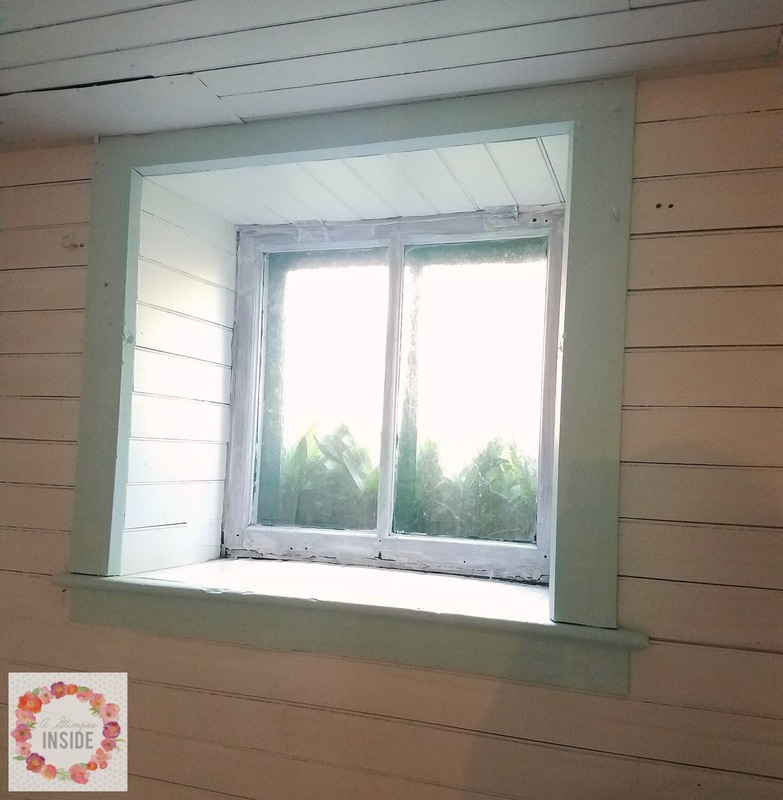 I got all the accents painted this like aqua blue and primed and painted all the window frames. We are organizing everything now so hopefully the reveal will be soon! 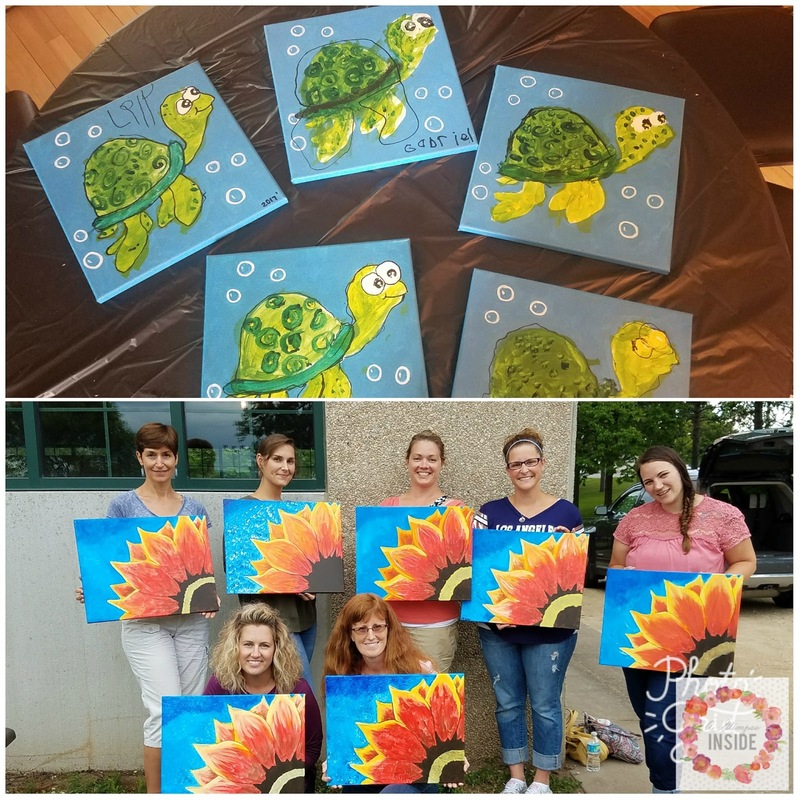 Mid month I taught two paint parties, back to back days. It was wild and fun. 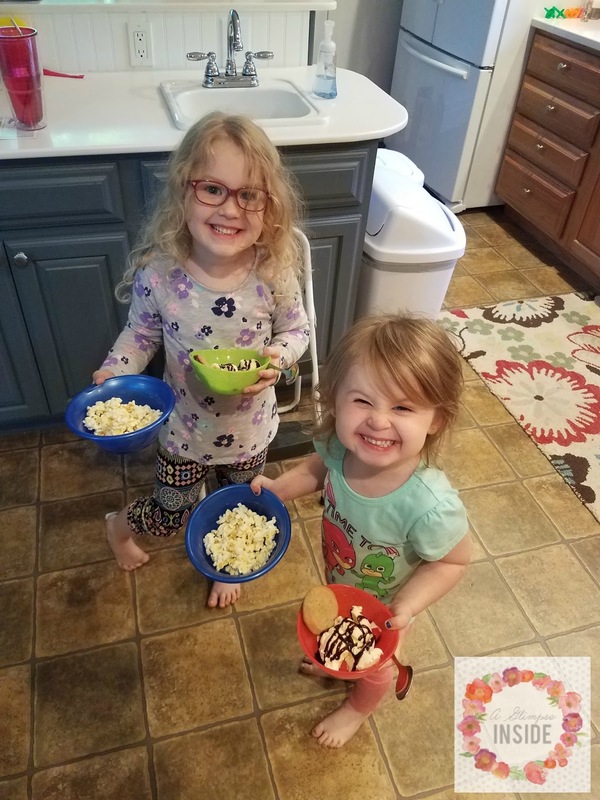 I taught my first kid birthday party for 4 yr olds and they did so great! It was funny watching their parents try to let go of their perfectionist to let their kids just paint however they wanted. Then on Father's Day actually, was the next party with some fellow spouses who all had husbands in CA as well for the training. 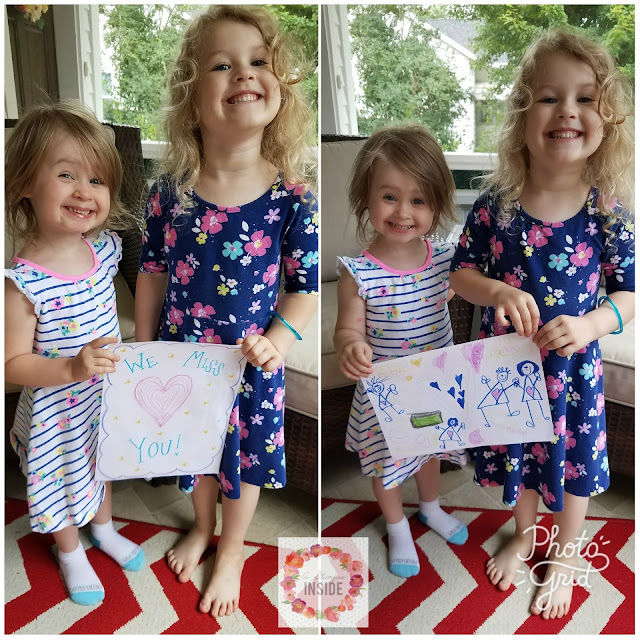 Since daddy was missing Father's Day, we have to take some photos to send some love his way anyways. It rained quite a bit in June and towards the end of the month we saw a super vivid, beautiful rainbow. 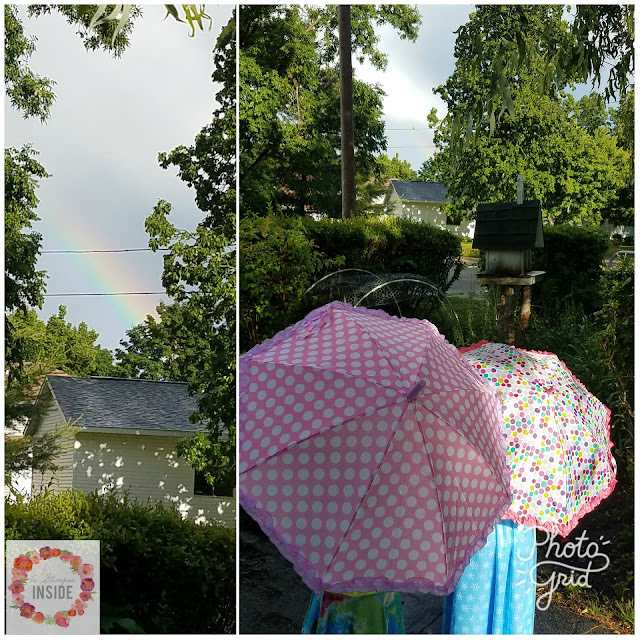 The girls were super excited so we grabbed our umbrellas and ran out for a better look. 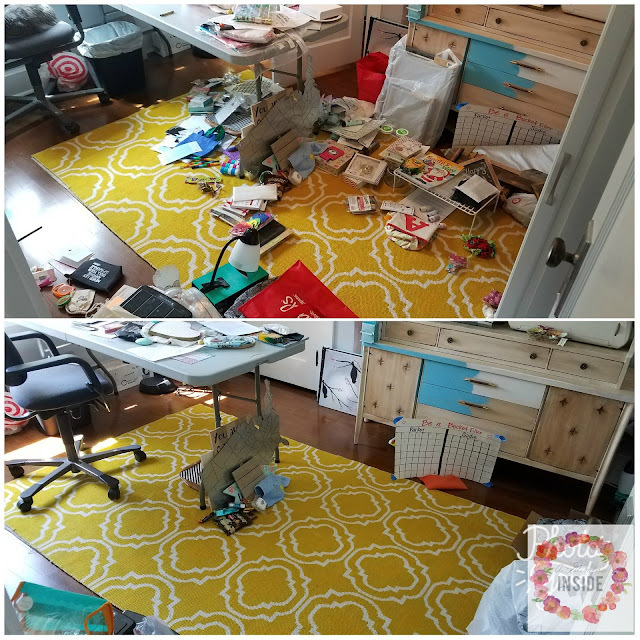 I managed to clean up my craft room! Holy cow!! I can actually walk in my room without fear of falling over something. I still have a ways to go as I want to go through every cabinet, drawer, closet and purge, purge, purge, but this is HUGE!! 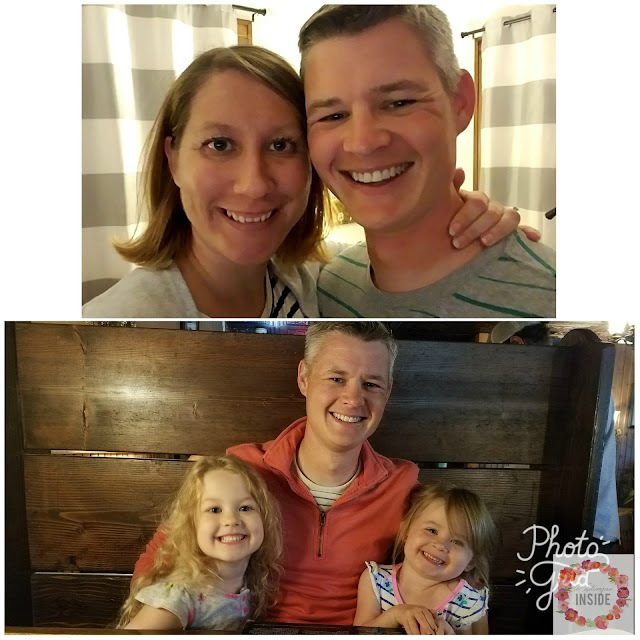 Travis was suppose to come home on a Sunday evening and we were going to go get him at the airport just in time for dinner. Well his flight was canceled and I had two very sad girls on my hands and again, this momma was DONE! So that night we decided to cheer ourselves up and have dessert for dinner. To say they were excited was an understatement! Daddy did arrive the next morning, after taking a red eye home, and we were all super excited for his return! That's it! June was wild. 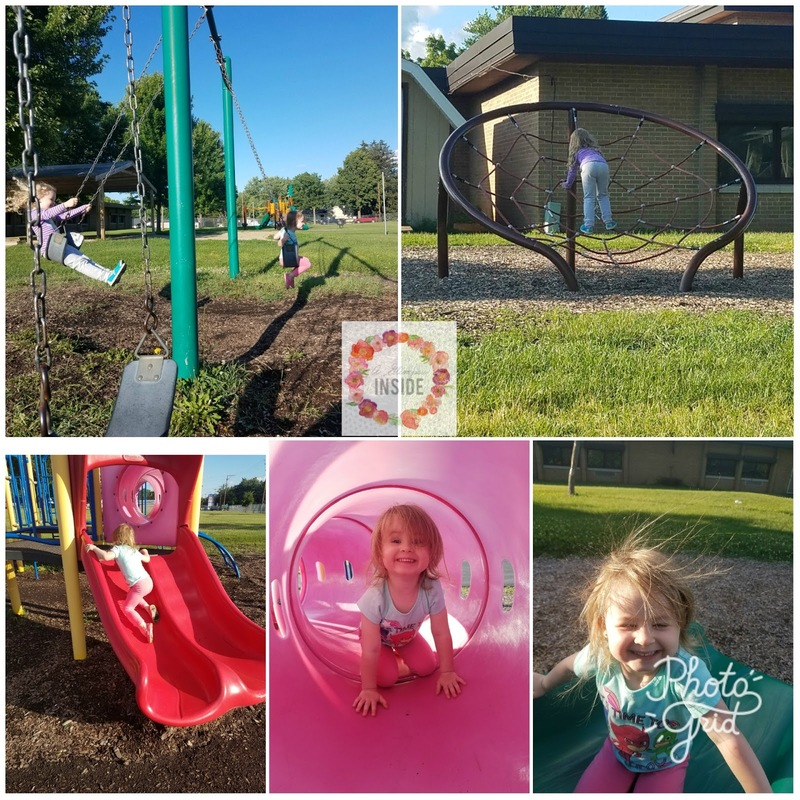 I was literally just trying to keep my head above water with Travis gone so long and Miss P testing me to my very limit with her attitude but we made it through and are onto fun things in July!